Regular readers of this page will know that I’ve already written on the unique, but largely ignored position of Austria in the First World War. It has been fascinating to follow reports and historic assessments of the ‘Great War’ from the perspective of British, American and even German historians. To add some degree of balance, Manfried Rauchensteiner has written a thousand page tome that presents the singular position of Austria, the country that pushed over everyone else’s dominos. I’m only partially through reading Rauchensteiner, the former director of Vienna’s Military Museum, but already the differences in historic presentation are striking. I can’t help but think that there’s much for modern Europe, in attempting to balance national identity with a supranational administration, to learn from examining Austria’s experience. It’s astonishing that it has not been more closely examined in our many centenary retrospectives. Most that I have seen on British television, or even within the wider German media, is firmly from the point of view of the Entente along with German historians who reflect on the First World War through the prism of the Second. Received opinion dismisses Austria-Hungary as ‘decadent’ with one recent British televised dramatization presenting the Austrian ambassador to Britain as an effeminate upper-class dandy, a 1914 trans-gender Prince Orlofsky from Strauss’s ‘Fledermaus’. Rauchensteiner demonstrates that this position is historically and intellectually lazy. The Austrian side of things needs explanation, not so much to place it into a better light, but to offer genuine lessons in such timely questions as transnationalism and the interaction and cooperation of European cultures. Trying to get behind the simplistic dismissal of Austria-Hungary as ‘decadent’ and ‘ripe for removal’ deserves scrutiny. Certainly, ‘The Monarchy’, as it was referred to in international circles, was firmly in the hands of the aristocracy. This was not just the case with all ministries of state and the military, but also of nearly every level of administration. There was virtually no mechanism within the system, as there was in Britain, to allow for an Austrian Lloyd George to emerge. An inbred aristocracy was certainly a sign of decadence, but this was true of all of Europe’s ruling families and the inbreeding of ‘The Monarchy’s’ aristocracy was not unique. If anything, it had a wider genetic pool, across more nationalities to choose from than the British and Germans. Nevertheless, the mechanism that allowed talent to rise, regardless of class or religion, was simply unavailable. The main reason, however, that Austria disappears from view after toppling the first domino in Sarajevo, was because it was busy on the Eastern Front, a chapter of the war that was of no relevance to either the Entente, or (in the fullness of time), Germany. It is with this point that we need to look at a bit of pre-history: Prussia’s General Molke was pushing for a ‘preventative’ war with Russia before 1914. At the same time, Austria’s ‘Commander in Chief’, Conrad von Hötzendorf, was pushing for a ‘preventative’ war with Serbia long before the assassination of the Archduke in Sarajevo. The German military wanted clear dominance on the European continent, while the Austrians wanted dominance on the Balkan Peninsular. Neither had pre-war ambitions to acquirer more territory; they simply wanted to be the biggest and most influential beasts in their respective regions. Standing in the way of both was Russia and its ally Serbia. Russia, compared with all of Europe’s ruling houses, was truly decadent, autocratic, feudal, mediaeval and an historic threat to even the slightest democratisation. Molke and Hötzendorf believed that Russia was weakened by defeat in an earlier unpopular war with Japan. They believed the time ripe to remove it completely from the European arena. Both of these warmonger Generals were eager for their ‘preventative’ war, a smaller war that would prevent a larger one. Paradoxically, both were held in check by their respective emperors. Yet surprisingly, Rauchensteiner does not dismiss the suggestion that an earlier preventative war may indeed have prevented the Great War that followed. When one considers that both Prussian Germany and ‘the Monarchy’ had slowly been liberalising – indeed in some areas, at a far greater rate than Great Britain, it’s easy to understand the fear of Russian encroachment. Readers of this blog will already know that enfranchisement was wider within the Central Powers than in Britain. The principal of the Social State was long established in both, and Jews in Austria were even allowed to serve as officers in the military earlier than in Germany – an in the First World War, it both astonished and bothered German officers that Austrian Jews could achieve the rank of general. Indeed, Jews of ‘The Monarchy’ were well underway in the process of full assimilation/integration. Unlike Germany, this was not something that could be taken for granted. England was far ahead in this respect and had already seen a Jewish prime minister with Benjamin Disraeli under Queen Victoria. But in Austria-Hungary, more than in Protestant Prussia, or Anglican Britain, the Catholic Church met every attempt of even the smallest liberalisation, with the stiffest opposition. It’s not a surprise that a Zionist such as Max Nordau would refer to it as ‘a power as dark and sinister as Russian despotism’. The Austrian emperor was deeply and profoundly Catholic, but accepted the reality of Jews, Protestants and Muslims in his realm and pronounced that his desire was only ‘that his subjects were devout’, regardless of confession. Having annexed Bosnia in 1908, ‘The Monarchy’ was not eager to add further destabilising Slavic territories. Neither the Magyars in the Hungarian half of the Monarchy, nor the dominant Germans in the Austrian half would tolerate it. 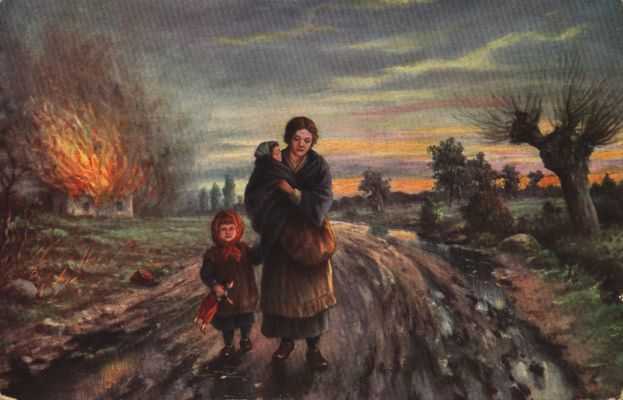 There was already a Slavic majority of Poles, Ukrainians, Ruthenians (Russians), Czechs, and Slovaks. With the annexation of Bosnia and Herzegovina, ‘The Monarchy’ inherited further Slavs, including substantial Muslim and Serbian contingencies. The unpopular Archduke Franz Ferdinand, so often portrayed as a bone-headed oaf, was planning to split The Dual Monarchy into three, with Yugoslavians, or the Southern Slavs, as the third member of what looked like becoming a federated Empire. This would put pressure on the Hungarians who found themselves caught between the Yugoslavs, the Czechs, Ukrainians and Ruthenians. Reading Rauchensteiner, one is made aware of the implications of Austro-Hungary declaring war on Serbia with the so-called blank-cheque of Prussia defending its every move. Yet the fighting men of Austria-Hungary were overwhelmingly Slavic – indeed Serbian in some instances. With Russia’s declaration of war against Austria, Ruthenians were called upon to fight fellow Russians. All of ‘The Monarchy’s’ nationalist Slavs saw in Russia not a despotic mediaeval autocracy, but the figurehead of a greater Slavic nation. Given the bigotry of German speaking Austrians and Hungarian speaking Magyars, it was no wonder that Slavs saw in Russia a degree of salvation not offered by the Habsburgs. 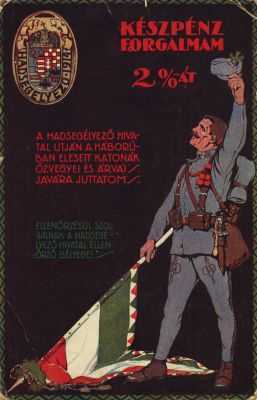 Yet despite many desertions, (Czech and Polish soldiers had only to sing the opening of ‘Hej Sloveni’, the pan-Slavic anthem to be taken without fire by the Russians), the Austro-Hungarian military largely credited itself in battles involving Serbians against Serbians and Russians against Russians. In most cases, the loyalty of the Slavic crown holdings was genuine – in some, Bosnians took great delight in killing as many Serbians as possible, while in others, there are reports commending Slovaks, Slovenians and Ruthenians. 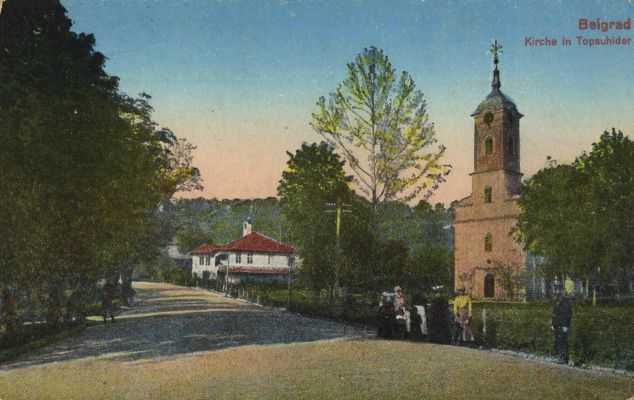 Czech soldiers were generally viewed with the greatest suspicion and it was even noted that there were Czechs who had joined the Russian troops in the siege of Przemyśl. The Monarchy demanded a heavy price for such loyalty and instigated a policy of brutality by raising paranoid fears of betrayal and espionage. 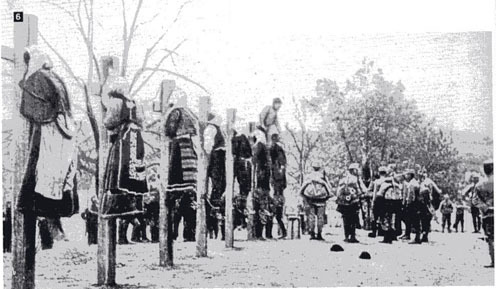 Entire Slavic villages including women and children were rounded up, shot or hanged throughout the Balkans. 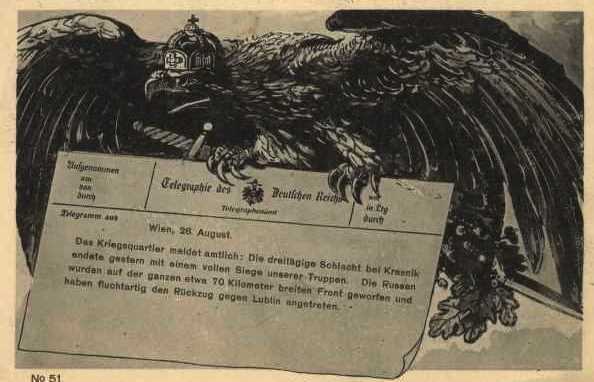 In a move to keep the fighting troops on side, the Austrian high command pumped out propaganda portraying a Slavic fifth column ready to carry out indescribable acts of barbarity against German-speaking soldiers. Such war crimes, which bore comparison with the worst excesses of the Second World War, would cost The Monarchy dearly when it came to post war treaties. It was the reason cited by Clemenceau for wishing Austria wiped entirely off the map of Europe in 1918. Yet the question of loyalty within Austria-Hungary would become more complicated once Italy joined the Entente. Austria’s fleet was stationed in Trieste-Pola with large Italian populations in Yugoslavian Istria. The challenge of keeping everyone on side had become even greater. Though today we may feel entitled to sneer at the idea of landlocked little Austria having a navy at all, it’s worth recalling that it constituted not only the largest presence in the Mediterranean, but also kept a substantial war fleet on the Danube. If Prussia’s motivation in offering Austria the ‘blank cheque’ was to remove Russian influence from its backyard, it would come as an unpleasant surprise to ‘The Monarchy’ when Germany insisted that Austria stop wasting time in the Balkans and move the Eastern Front further north to Polish Galicia. 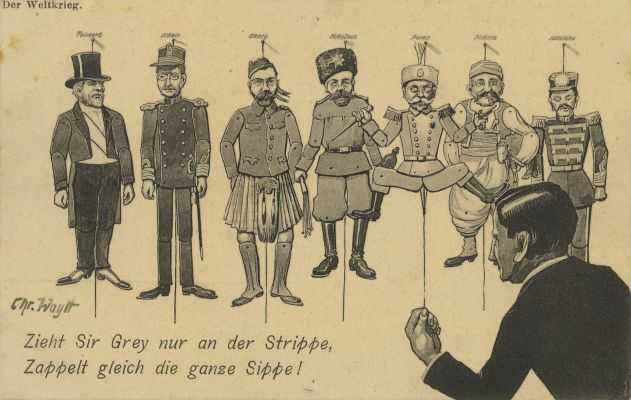 The Austrians were eager to box the ears of the Serbians and return stability to the region. They only agreed to interrupt what was one of the very few clearly stated pre-conflict goals, following Prussian assurances that the so-called Schlieffen-Plan would knock out France and allow all of the ‘Central Powers’ to regroup along the entirety of the Eastern Front within only a few weeks. The war that in any case, was only meant ‘to last a few weeks’ obviously failed and it remains a mystery why Franz Joseph did not insist on a separate peace while things were still salvageable. 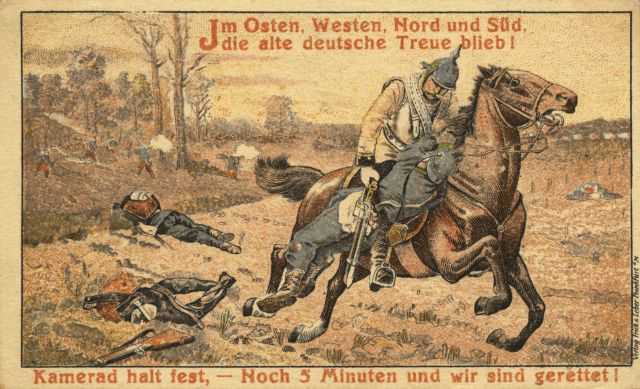 The Austrians had no bones to pick with the British and were horrified that Prussian recklessness had dragged them into the conflict. They were fed up by Prussian meddling in their own aims, while the Prussians dismissed their Austrian allies as unruly and incompetent. With the failure of the Schlieffen-Plan, Prussia’s own ambition to remove Russian influence from Central Europe would change to inflicting maximum damage on British power. Indeed, it became the unhinged obsession of Kaiser Wilhelm, leaving the Austrians to deal with the Balkan Eastern front in whatever manner they could. Yet how to convince brother to fight brother without trying to find some unifying element that made sense? The idea that Franz Joseph offered this element could only work for a short time. 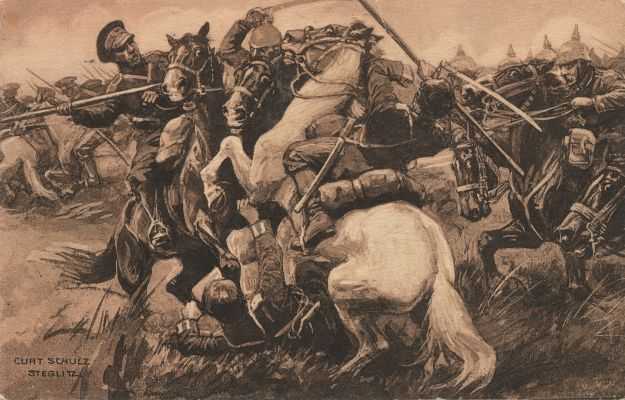 By 1915, the Austrians should have got out, but honour dictated that they stay and fight. There are sadly no ‘ifs’ in history. Franz Joseph was old, doddery and never the brightest of intellects. The story of the Eastern Front is brutal. 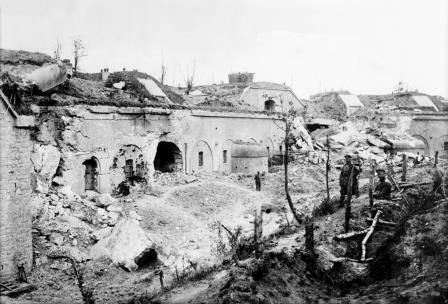 Freezing temperatures and no supplies meant that most of the Austrians who died in the senseless winter offensive to recapture the fortification of Przemyśl succumbed to cold. 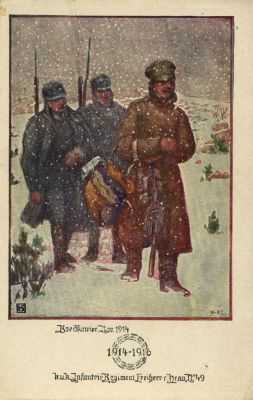 There were no tents, no heat and no cover for soldiers in the Eastern trenches where falling asleep meant freezing to death. Correspondence between officers to Austria’s central command tell of the shell-like frozen uniforms they were forced to wear, and of fatigue and lack of sleep that made the offensive in the East during the first winter of the war a desolate failure. What does this have to teach modern Europe? First off, there are within Europe, no superior cultures or nations. British arrogance towards Europe today mirrors German arrogance from earlier. The inability to tolerate other official languages along with the instinctive belief that everyone else is corrupt and unruly finds its expression in Britain’s contemporary Euro-phobic media, a view often reflected in coded inference, by British politicians. Secondly, the militaries of both Germany and Austria had become too powerful within government. Both German and Austrian emperors felt most comfortable wearing uniforms, and archdukes, princes and members of the immediate imperial families were entitled to participate in military decision-making, despite an obvious lack of talent, and in many conspicuous instances, a lack of interest. It’s nearly comical reading how one archduke after another had reluctantly to be persuaded to join the Military Central Command, and the antics of the professionals to keep them out of harm’s way. It was obvious, however, that military ambitions had little relevance to the geo-political ambitions or desires of the people. Robert Musil, author of ‘Man without Qualities’, one of the most amusing, yet sobering and unromantic portrayals of pre-war Austria, referred to Austria-Hungary as ‘Kakania’, a pun on the common abbreviation of ‘Kaiserlich und Königlich’ (‘Imperial and Royal’), called ‘K(ah) und K(ah)’ for short. In English, ‘Kakania’ means ‘Poopania’. He sums up Austria’s military prowess along the following lines (and I paraphrase): ‘Just as in real life, there are many civilians who prefer to think and act like generals, there are generals who prefer to think and act like the civilians they are meant to defend: their Bohème, their artists and their coffee house philosophers. Poopanian was uniquely rich in such generals’. Michael, when we were kids living in Kritzendorf, Dr Kurt Peball, also resident of Kritzendorf and one of the highly placed historians at the K.u.K. War Archives, wrote a book, a collection of Gen von Hötzendorf’s writings and diaries. “Conrad von Hötzendorf-Private Aufzeichnungen.” 1977 Almathea Publishing. Dr Peball gave an inscribed copy of the book to Dad. After reading your article, I pulled the book out and started reading it. (In German, of course.) To say Gen.von Hötzendorf’ was opposed to the war and even its very basis is true. The general was vehement in his opposition. He did indeed, want a quick ,preventative war with Serbia and no other countries involved. Of course, he was writing after the war and had the advantage of hindsight. Plus, he was not publicly against the war and diplomats’ blunders during the war. He was finally relieved of command in early 1917, having, evidently ticked off a number of people at court. I had no idea that this was Kurt Peball’s field. In fact Hötzendorf was put in various impossible positions. Fundamentally Austria wanted to thrash Serbia and had Germany’s assurance that it would be protected while doing so from Russian aggression. The problem was, Russia started to mobilise north while Germany cooked up the Schlieffen plan to knock out France before concentrating on Russia. With Russia mobilising against Germany, Hötzendorf was being persuaded to join the Germans on the North Eastern Front. 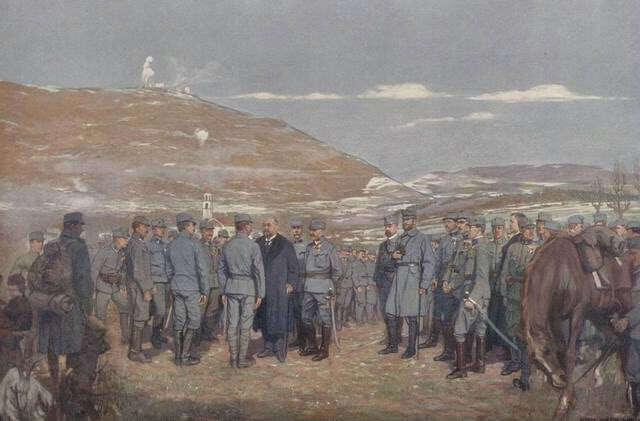 Initial attempts to punish Serbia failed with Austrian troops alone. Italy declared war on Austria, but not Germany, opening up another southern front for Austria to deal with. Hötzendorf did not get along with his German counterpart General Falkenhayn – he was thought overbearing, arrogant and Prussian. Falkenhayn for his part thought the Austrians ill-disciplined, poorly trained and equipped. 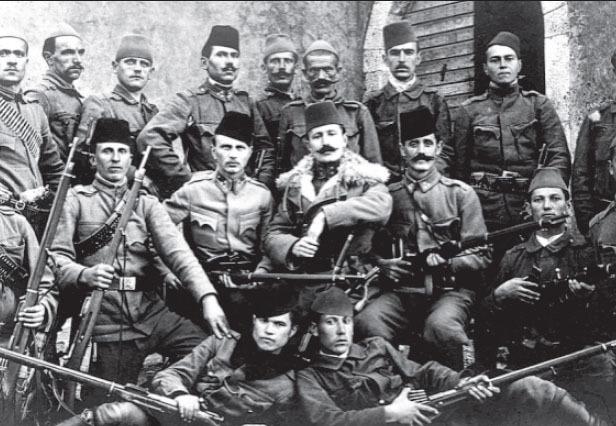 Falkenhayn – indeed none of the Germans – were able to foresee or comprehend the issues that arose from Bosnian Serbs being required to fight Serbia’s Serbs; Austria’s Italians fighting Italy’s Italians; Austrian Russians fighting Russian Russians and so on. Czechs and Poles were particularly nationalistic and entire regiments were known to run to the other side. With Franz Joseph’s death in 1916, Karl wanted peace at almost any price and decided to go along with German demands for a single command under Kaiser Wilhelm, who placed Ludendorff and Hindenburg in charge. Hötzendorf was sidelined as a result, though the Austrians did score an eventual victory against the Serbs and Romanians with the help of the Germans, so it wasn’t all one-sided.